Chinese entertainer Liu Fei has a unique way of earning a living. 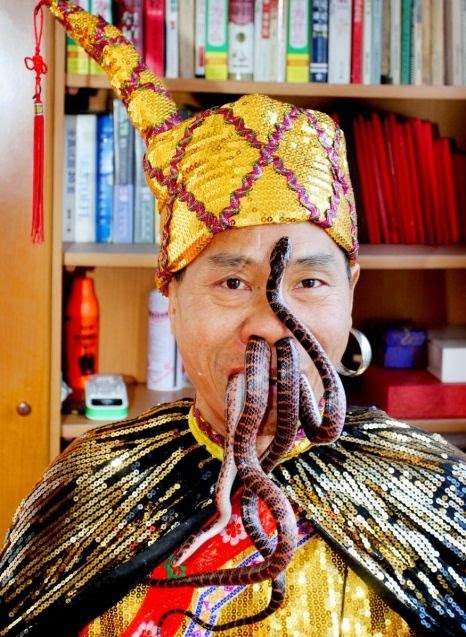 For the past 30 years he has performed the stunt of shoving snakes up his nose and out through his mouth. When asked if he has ever had any complications while doing the routine, he said that the most serious incident was when he accidentally swallowed one of the snakes.